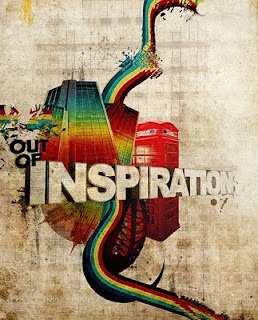 Inspiration (photo from here) is an invisible force produced by a person, event, place or anything else that causes someone to do something or set a goal for oneself. For me, inspiration is a big part of identifying and going after goals, as hard as these may be. I got inspired by Sam Gemar at Kennedy Space Center last September. Being there and hearing him jolted my memory and inspired me to start this blog and make changes in my life. Last week I got inspired in an event when I didn't expect to be. I went to the Livescribe Developer Day in Mountain View, California. For those of you who don't know the Livescribe Pulse pen, it is a pen that records the strokes you make on special notebooks, can record audio and correlate between the two, simply by tapping the pen tip on paper. I've been using it for over a year and really like it - it combines the ease of use of pen and paper (an in-line drawing during a design meeting is far easier than struggling with computer drawing tools, for example) with being able to search for text and correlate with what was said exactly when you wrote something. It also runs Java applications called Penlets. Yes, pretty cool, but not the source of the aforementioned inspiration. Back to the Livescribe Developer Day. On Wednesday, after a few words from Livescribe CEO Jim Marggraff and other enthusiastic and knowledgeable Livescribe employees we got to hear about some of the Penlets people developed. Following a lukeworm beginning with the creator of a Poker game for the pen, two men came up - Joshua Miele, Ph.D., Associate Scientist at The Smith-Kettlewell Eye Research Institute and Steven Landau, Research Director at Touch Graphics. The former blind, seeming frail, assisted by the latter. I couldn't understand what they were about to do or show. And then Josh started talking, immediately grasping everyone's attention, demonstrating how wrong it is to judge a book by its cover. Learning is hard for the blind. We absorb so much through our eyes, that as a seeing person it is hard to fathom learning without eyesight. What Josh demonstrated were two applications for the pen - The periodic table and a scientific calculator. Both rely on several abilities of the pen and Penlets running on it - knowing where the user taps on the special paper and its ability to make high quality sound. Combined with Braille, the outcome is staggering. After an initial cost of about $150 (which is bound to become cheaper as the market of the pen matures), the production costs for the applications and the special paper products that accompany them are extremely low. Scientific talking calculators already exist, albeit most cost much more than the pen (for example, see here). However, the periodic table really demonstrated the true potential - providing an indispensable learning tool for the blind. Josh found an element with one hand, as element letters are in Braille, and then tapped the element he was interested with the pen held by the other hand. Every tap produced a different piece of information about the element via clear speech, which can be heard through the pen speakers or headphones. There is no way to put all that information on a Letter sized piece of paper in Braille - the Braille font size renders that exercise impossible. But with this kind of tool, information is as available for a blind student as it is for a seeing student. Pretty much any reference information can be transformed to a simple cheap application rather than incurring high cost of printing the entire information in Braille or producing specially-made expensive tools. Josh and Touch Graphics created an unintended use for the Livescribe pen. A pen that is meant for writing information, has a screen and was originally intended for seeing college students and business people, will find its way into the hands of many blind students and scientists as an indispensable tool. Josh would probably frown at the first descriptive word I wrote about him, but as a human being, I initially saw what was on the outside. As soon as he started talking it became clear how unimpeded he is and how strong. I don't know what life experiences brought him to where he is, but I have to wonder whether he would do such remarkable work if it weren't for his so-called handicap. It was nothing short of an inspiration.